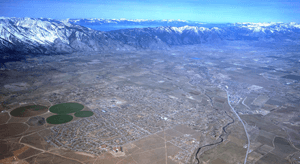 The Trustees of the Gardnerville Ranchos General Improvement District have adopted a policy in section 10.3.5 of the District’s Policies and Procedures Manual regarding Business Impact Statements. When the Board of Trustees approves its agenda, it also approves a motion, which includes ratification of staff action taken pursuant to NRS 237.030 et. seq. with respect to items on this evening’s agenda and determines that each Rule which is on tonight’s agenda for which a BIS has been prepared does impose a direct and significant economic burden on a business or directly restricts the formation, operation or expansion of a business and each Rule which is on tonight’s agenda for which a BIS has not been prepared does not impose a direct and significant economic impact on a business or directly restrict the formation, operation or expansion of a business. When the individual Trustees vote on a matter on this agenda, the Trustees each certify that the matter has been reviewed and that the Trustee’s vote is cast in compliance with NRS 281, NRS 318 and the District’s Conflict of Interest Policy. Notice: Items on the agenda may be taken out of order; two or more agenda items may be combined for consideration; and items may be removed from the agenda or discussion relating thereto delayed at any time. For possible action: Board action to approve and to incorporate in the motion for approval of agenda the motion set forth in Section 10.3.5 of the District’s Policies and Procedures Manual regarding Business Impact Statements, after Board discussion and public comment. Board discussion followed by public comment. Possible action to select one of the above alternatives or any combination thereof as 4developed at the meeting. For Possible Action: Board Action on Approval of the minutes of the October 3 and October 24, 2018 meetings. Discussion and public comment. (NO ACTION) This portion of the meeting is open to the public to speak on any topic not on tonight’s agenda and must be limited to five minutes. Reasonable efforts will be made to assist and accommodate physically handicapped persons desiring to attend the meeting. Please call Dawn Hinds at (775) 265-2048 in advance so that arrangements may be conveniently made.